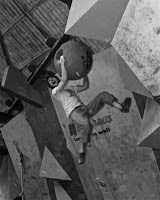 We're in the process of sorting out and uploading the tons of photos that we've got from the CWIF. We've got a full gallery on our website with the competition broken up into the setup, the qualifying, the semi's and the finals. As we upload the photos we're putting on captions etc so you can get a feel of the day if you weren't there. We'd like to thank the photographers - Norman Gilman, Tonde & Steve Goodair - for taking the photos and allowing us to show them.